125 piece jigsaw puzzle (five pieces are missing), paper printed in various colours adhered to plywood. 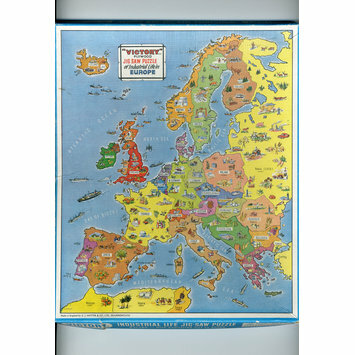 The design shows a large map of Europe, each constituent nation is coloured differently and some pieces are shaped as the countries' borders. 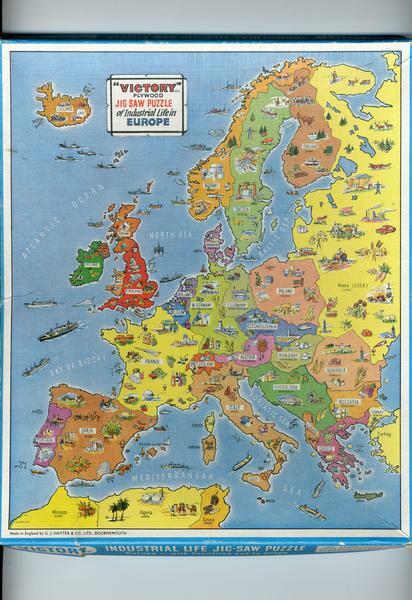 There are small illustrations showing goods which are produced in regions of each country. Given by Ruth Nyman, who recalled 'this was part of a bundle that was given to me in the late 1980s for my children, when they were about 8-10 years old, by my second cousin who decided it was time to dispose of some of the games and toys that were no longer of use to her daughters when they were in their late teens. 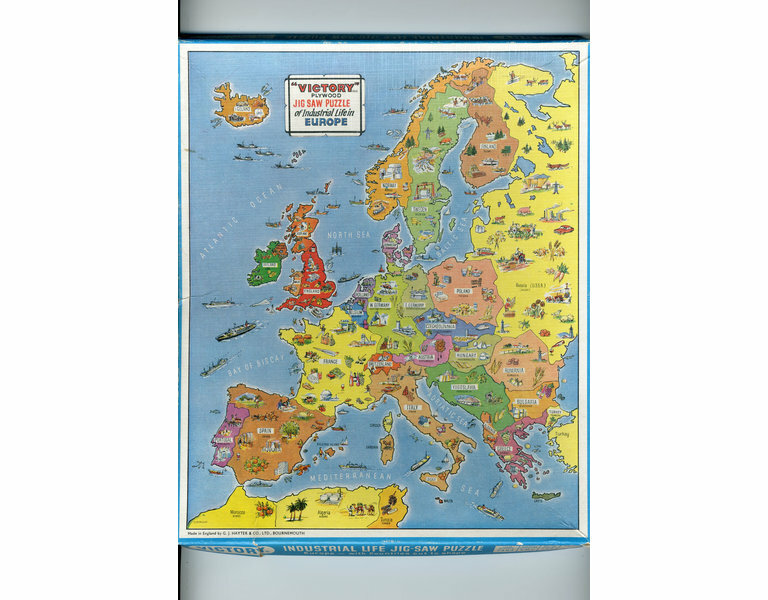 The puzzle was not used by either my son or daughter as neither of them was particularly interested in puzzles and it was already very out of date'. GJ Hayter used the tradename 'Victory' on their products.